The practice of adoration is not difficult. a closeness to My Eucharistic Heart. and of receiving My love. to the soul who asks for it. Ask, then, for the gift of adoration. because it rests upon faith alone. of the fire that blazes in My Eucharistic Heart. a soul fashioned in My image and likeness. and with the purity of My Essence. The soul, however, is not annihilated. fully capable of believing, of hoping, and of loving Me. Adoration is a furnace and a forge. in the forge of My Divine Will. as I purify and transform her in My presence. that emanates from My tabernacles! what, of themselves, they cannot do. and with My Priestly Love in his life. in these times of impurity, persecution, and darkness. as a testimony to Divine Love. that will confound those who plot their downfall. and see what choices are pleasing to My Heart. Time spent in My presence is not time wasted. bearing fruit that will last. 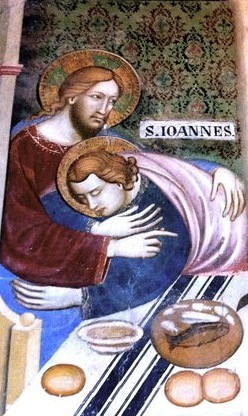 with My Most Holy Mother and with Saint John, My Beloved Disciple. and in the company of My Mother. on the night before I suffered. close to My Heart, and in the radiance of My Face. and formed in the Heart of My Immaculate Mother. You touch my heart very deeply with these Eucharistic meditations. My parish's adoration is scanty and I sort of unofficially oversee it. How I wish I could increase our love for Jesus Eucharistic! And how I wish all these meditations from the Journal of a Priest would be printed as I should very much appreciate being able to savor them daily and over and over. Are these Journal Entries your writings or from a book?